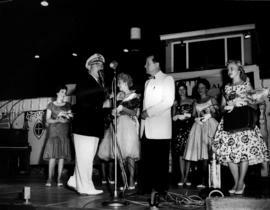 Individuals identified (L-R) are: Bert Emery, Mrs. Alsbury and the Deputy Chairman. 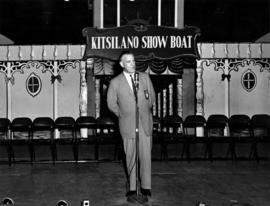 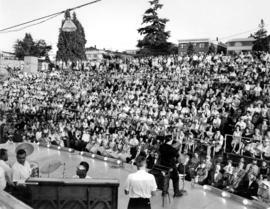 His Worship J. Alsbury addressing an audience during the closing evening of the Kitsilano Showboat. 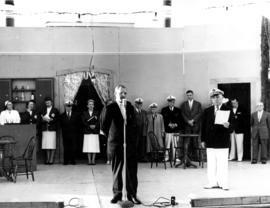 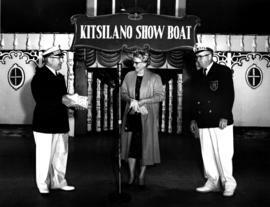 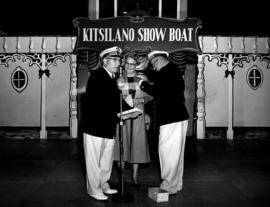 Photograph shows the Deputy Chairman of the Kitsilano Showboat and George Wainborn on stage with Miss Kitsilano and other pageant competitors. 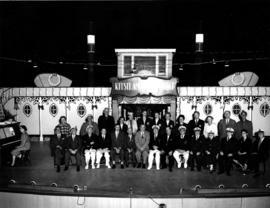 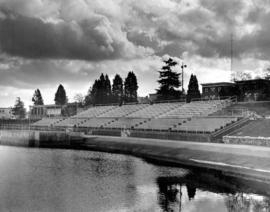 Photograph shows M.L.A. 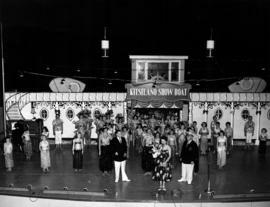 Bert Price (at microphone) with other Showboat committee members on stage.